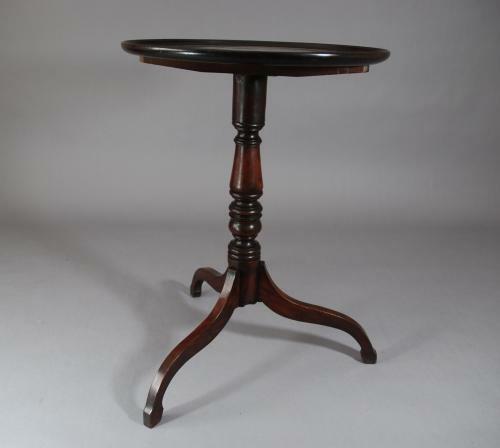 A late18thc/early 19thc mahogany dished tilt top table, with good original colour. The table has a turned centre column with splay legs on a spade shaped foot. This table is in good, original condition.